NYFA Listed in Variety's "Best Showbiz Programs"
New York Film Academy Makes Variety's List of "Best Showbiz Programs"
April 29, 2016 As a school that continues to expand its visual and performing arts curriculum while sticking to the core of its original foundation of learning by doing, the New York Film Academy has recently landed itself on Variety’s “Entertainment Education 2016: The Best Showbiz Programs” list. The list included the top domestic and international schools to learn film, TV and media. It is this educational model that has allowed its students to achieve more in less time than at many other film or acting schools in the world. Of particular note in the Academy’s mention is its diverse student body, which is comprised of more than 8,000 students from 108 countries in the past academic year. Students come from all over the world, representing (as Variety noted) countries like Brazil, France, Mexico, India, the U.K., Hong Kong, Australia and Japan. Reflecting the diversity of its students, NYFA offers hands-on courses at numerous locations like New York City, Los Angeles, South Beach, Sydney & Gold Coast in Australia, Florence, Paris, and more. This provides students with an unparalleled cultural immersion that can ultimately expand an artist’s perspective on worldly topics and issues. Another feature that is noted in the article is the fact that most students are able to participate in each position that makes up the overall filmmaking experience. In the Academy’s filmmaking programs and workshops, each student writes, directs, and edits his or her own films. They are also required to work on their peers’ projects, giving each student the opportunity to experience first-hand the different roles of the director, cinematographer, writer and editor. 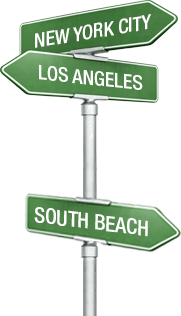 It is this versatility that allows students to determine which field they’re best suited for. Together with its consistently talented crop of incoming students, successful graduates, and a well-versed and experienced faculty, the New York Film Academy continues on a path to be one of the most sought-after visual and performing arts schools in the world. 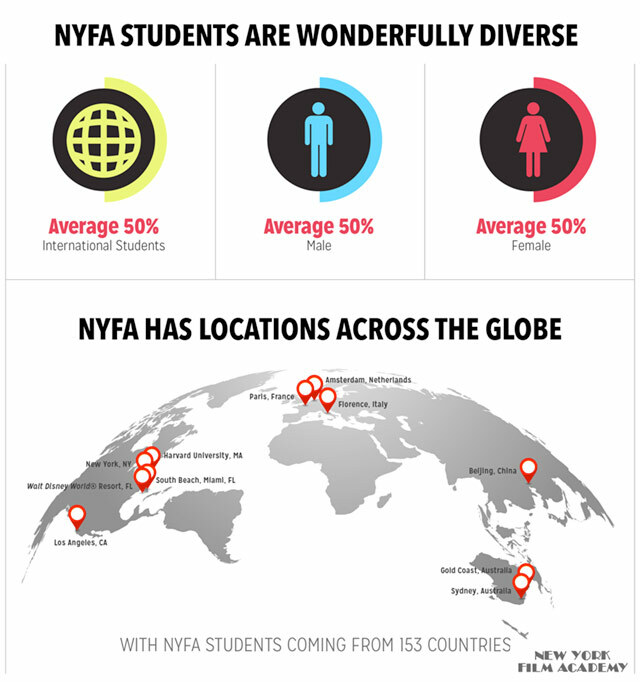 To get a better understanding of what the Academy represents and what it has to offer, visit the main website at www.nyfa.edu.